Home > English, Erlang	> Having fun with Funs! When I started with Erlang, a lot of people told me one of its strenghts was the fact that it is a functional language. Coming from Java, for me this was one of the most difficult things to tackle, and only after a good series of books and blogs I started understanding the concept. 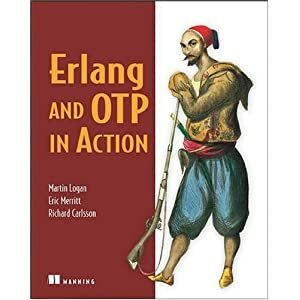 Erlang is one of the so-called functional languages: functions can be viewed as another type of data, they can be bound to a variable, passed as input or represent the result of other functions. If you are following for some strange reason my blog, you should know that I like very much using code for explaining things, so let’s start with some example! 1> Double = fun(Value) -> Value * 2 end. Above I defined a function by using the sintax fun(Params) -> … end, you may notice that the function is bound to the variable Double, this allows you to reuse this function any time you need just by calling Double(Value). 4> (fun(Value) -> Value * 2 end)(3). but this way, you may not be able to reuse it several times. normal functions do, exept calling themselves recursively. Working with Erlang, bring you to deal with lists: usually this simply means that you need to cross the list and apply a certain function to all its items. difference when they are list or function), if the second argument is an empty list we just return an empty list, while if the input is a not-empty list, we return a list made by the result of the function applied to the first element, and the result of the map function applied to the rest of the list. 13> lists:map(fun(Value) -> Value * 2 end, A). 1>                        fun() -> Value * 2 end end. The example above is really stupid, but still it makes you understand how you can return a function from another function. We changed our function so that it prints on screen the number we want to double, then we return a function that actually doubles that number. In the line number two of the erlang console we bound the variable Four to the result of the function Double(2), in this way by calling Four() we can get as expected the value 4. This is all for today! Have fun! and i forgot to say that your quick start to erlans is really good!